<< I have a friend at work who is not online, but would like to know if he can upgrade his 73 3/4 ton 2x to a 4x4? Where can he locate a how to, and is it worth the effort. It's possible, but I think a waste of time, money, and effort. I'll explain. To convert to 4wd, you'd need all the parts from a 4x4, right? The only parts you'd take, are the ones to make the 4wd work. 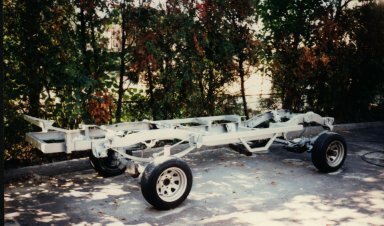 You'd want a whole truck to strip, so you can take the 4wd shifter, front axle and springs, front driveshaft, front brake system, etc. The steering box, and the master cylinder as well. The trans too, and then you'd want the trans rebuilt. You'd also want all these parts to be in decent condition. Your buddy's truck must be in great shape for him to want to convert it. Especially for a 73. You'd then have to figure out how to mount the axle 100% straight up front, as front axle alignment is critical on 4wd. There is no adjustment with a solid front axle, only "toe". To swap you'd need a welder, and to know how to weld. There would be much trial and error too. Then, you'd have to keep a record of each part you used, in case they wear out in the future. You can't just walk into a parts store. You need models, years, and makes. Now, here's my opinion, and if your buddy really wants to convert, he can read up on it at my friend Steve's 4wd van pages. He has links to other pages, where guys converted vans to 4wd. A link to his page is on my Links Page. If it was me, and I wanted a 4wd, but owned a 2wd, here's what I'd do. Since my truck is in great shape, and all I'd be adding is the front axle.... I'd rethink it out. My truck is in great shape, that much we know. Now if I was going to convert, like I said before, I'd want a donor truck in decent mechanical shape. The body would be unimportant. The only body part I might need / want, is the trans tunnel in the cab. In 4wd models, the tunnel bolts in place. The 2wd models, it's spot welded in place. I'd have to cut mine out, and bolt in the 4wd one, or modify mine, to allow room for the transfer case. Then cut a hole in mine, for the shifter to pass through. I'd just bolt in the 4wd one, much easier. BODY SWAP. Much easier. It might sound crazy, but if you think about it, it's not. That's right, unbolt my bed and cab from my frame, and drop it onto a 4wd frame. The bed has 8 bolts holding it on, and the cab itself, has 6 bolts. Then all the ground wires, fuel tank filler neck, and brake lines at the master cylinder would have to be removed. Think about it. 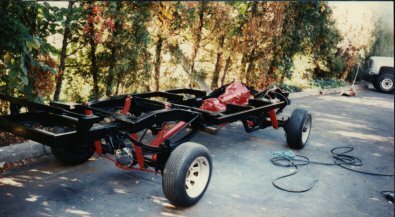 I find a decent chassis, with the drivetrain I want, with a blown motor, or rusted out body. Even a "truck for parts". As long as the 4wd stuff is there. I don't need the motor, but I do need the trans, and t case. The radiator can be shot, brakes, etc. Now, since all I really need is the chassis, I have a unique opportunity here. I remove the body from the 4wd, save any little parts, or parts I need / can sell, and scrap the rest of the body. Now I can get started on the chassis. Remove the motor easily. Sandblast, and paint the frame. Replace all the fuel lines, and brake lines with the body off. New shocks, even a lift kit is much easier to install now. Easy access. It can look this good. Then go to work mounting my body on the prepped chassis. While my bed and cab are off, I can roll the cab on it's side, on the lawn, and wash it thoroughly. Then scrape wire brush, and repair any rust. Then prime / paint / undercoat the underside of it. The same goes for the bed. I was actually able to flip mine myself, on the grass no problem. I flipped it several times while swapping my bed. I painted the underside of my bed with a Marine paint. It contained 60% copper, to stop barnacles from sticking to it. I figured if it is meant for steel, that will be sitting in salt water constantly, it's good for my truck. It costs $79.99 a gallon though. So this is my chance to build a really nice truck. Take all the steps to make it last too. I can use my motor from my 2wd. I can still save many parts from my 2wd, to use on the 4wd, like the radiator. I can look for exactly what I want, in a sense. Such as a truck with a 14 bolt rear axle, and an NP 205 T case, to mount my body on. My Specs Page will tell you what drivetrains were offered which years. I'm sure I missed something else here! I feel time and effort is less doing the body swap, for what the final result is. Yes, there have been many 4wd conversions, but like I said, I think this way is much easier, and you don't have to be an engineer to figure out the whole job. I KNOW it will work fine. The 2wd to 4wd conversion, I have no resources, or help with. One of the big 4wd magazines has done articles on this conversion in the past. You might be able to search their archives online. Then again, you can find a decent 4wd with a banged up body, and blown motor, and ...... well, you know the rest! without the author's express written permission to do so!